Soft, chewy, sweet, crunchy all come to mind when trying to describe what a popcorn cake is. This cake is actually a liar, in that there is no cake involved, it’s simply popcorn, butter, marshmallows, and M&M’s. Simple, delicious, & a fun treat to shake up movie night or for any occasion. For all accounts, it appears popcorn cakes and balls were invented sometime after the Rice Krispie Treat in 1939 (which was invented by Malitta Jensen & Mildred Day at the Kellogg Company Home economics department as a fundraiser for Camp Fire Girls). 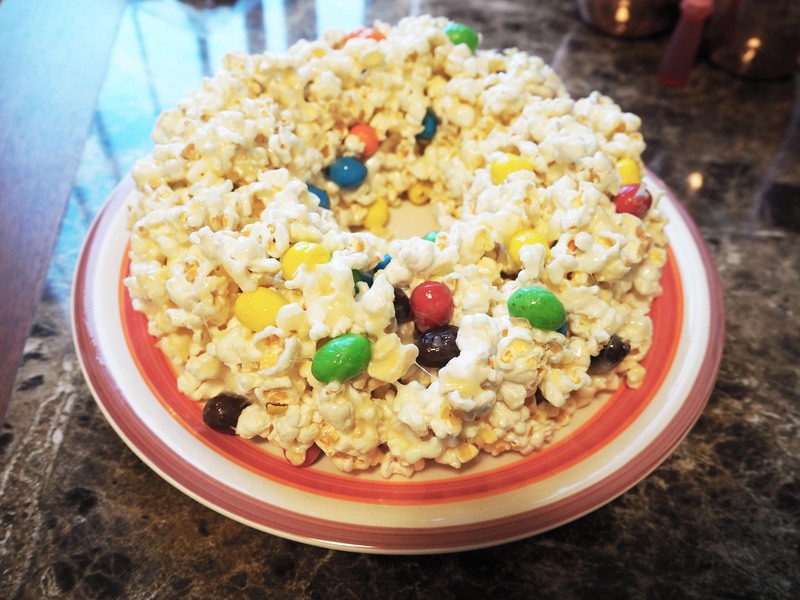 While the internet is a bit murky about who is actually to credit for the creation it seems popcorn cakes often came into existence in the absence of having Rice Krispies on hand, instead people would substitute in popcorn. This was the case for my Mom, who around 1979 started making popcorn cakes a regular thing for my home. She says that she wanted to make rice crispy treats one day and didn’t have any so tired popcorn out instead. Needless to say, the treat was a big hit with all members of the family. Soon after a friend of the family had a birthday & he loved popcorn, so my mom makes him a Popcorn cake by adding the popcorn base into a bundt pan to give it the cake shape. The family friend was delighted so much with the treat that he started making his own version for family outings and was a huge hit with his grandchildren. 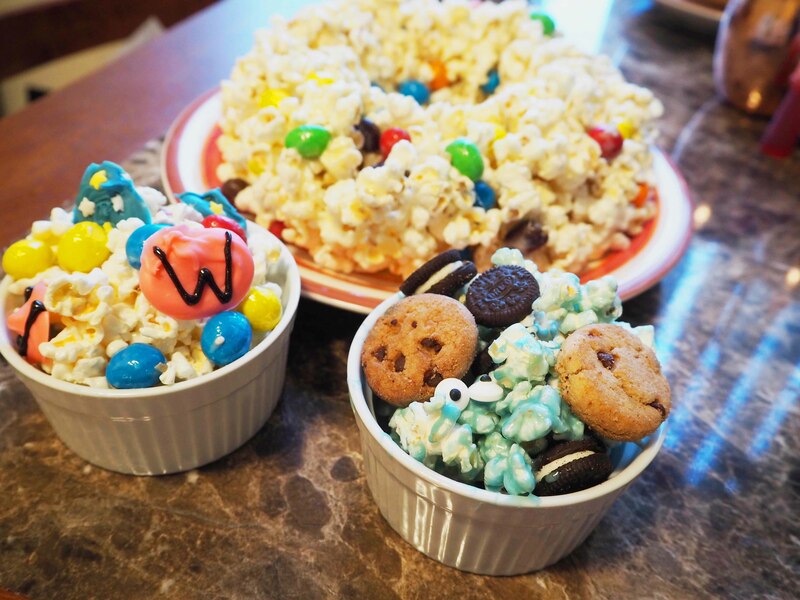 Popcorn cakes are something of a cult classic from their conception until sometime around 2009 when a big boom of recipes started to flood the internet, making the more mainstream. The popcorn cake found new variations and creativity breathing in new life into something that was an accident by all accounts. Today you can simply type into google “popcorn cake” and have pages upon pages of recipes to choose from or gain inspiration. Popcorn cakes & balls are something that is so small compared to everything else in life, but there is something that provides common ground. For my family, someone has always made popcorn balls for Christmas. It used to be my Great Aunt, then my mom started making them, now I make them. They were (and still are) my favorite cake to request for my birthday (which happens to be Christmas), so it was really easy to whip up for my mom, which is probably also why she would suggest the cake so often! When I spent my first Christmas with my boyfriends family it was really interesting that they just happened to have the same tradition of having popcorn balls during the holidays. It was something his grandmother would make, I, unfortunately, didn’t have the pleasure of meeting her, she passed away one year before I met my boyfriend. But in loving memory, the recipe was passed on to her daughter, my boyfriend’s aunt, and she now makes them for the whole family at Christmas. They are completely different from what my family makes and it was really fun to compare recipes and techniques that first Christmas. It was certainly a good icebreaker! I’m so excited to be sharing my family’s recipe with you for how we make Popcorn Cakes! 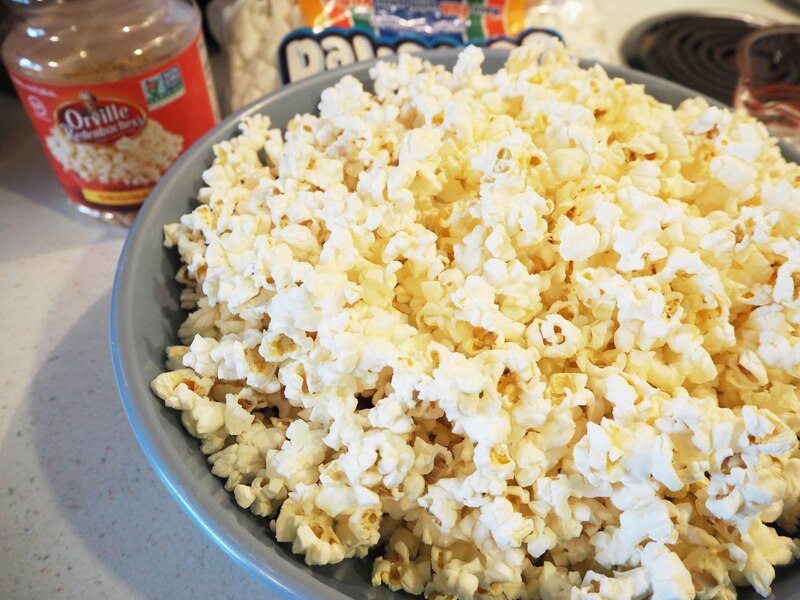 After popping your popcorn, remove any kernels that didn’t pop. 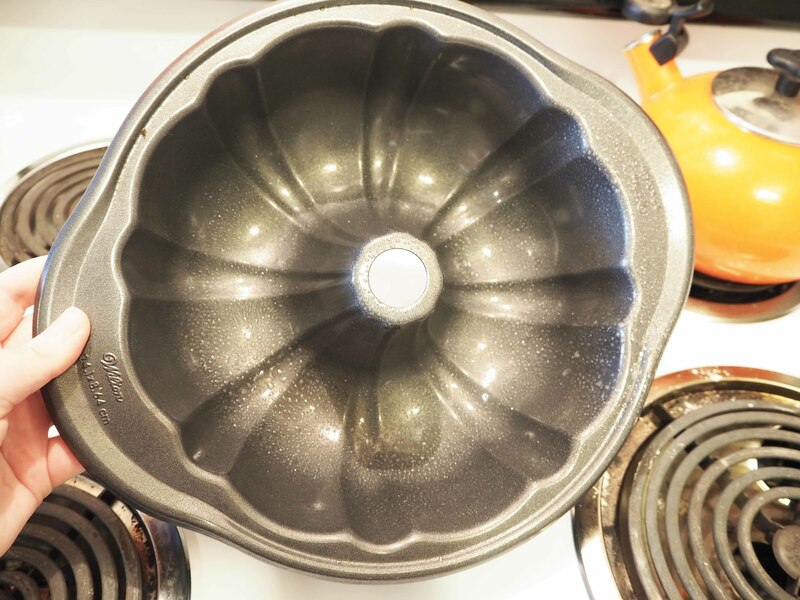 Make sure you grease your bundt pan thoroughly so your cake doesn’t stick. For this, you can use a spray or butter. You can use any kind of mix-ins! Get creative! Try sprinkles, chocolate chips, dried fruits, nuts, or different types of candies. 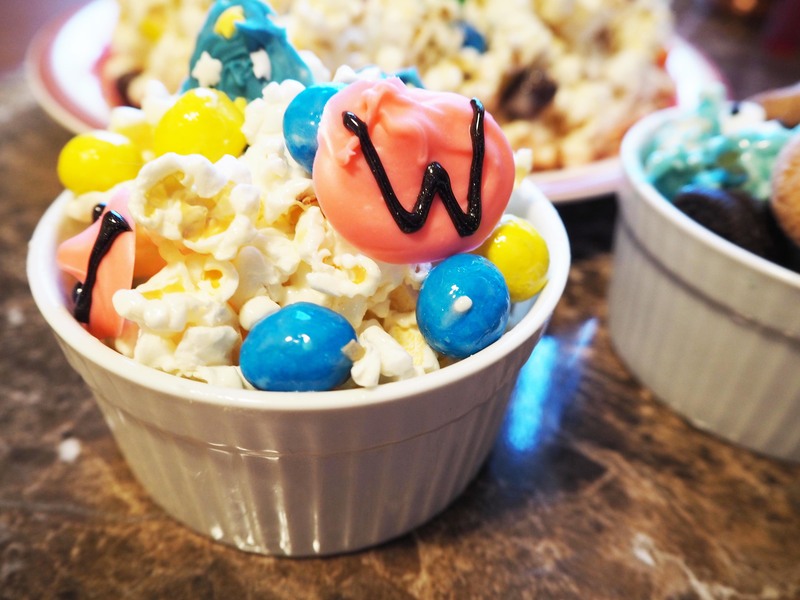 Try adding food coloring for fun colors of popcorn for different versions of the cake. If you want to make a smaller batch or cake, a good ratio to use is 1 TBSP to 1 CUP of butter to marshmallow for melting it down. Store in an airtight container for up to 2 days, however, this popcorn cake is best if eaten the same day as made. 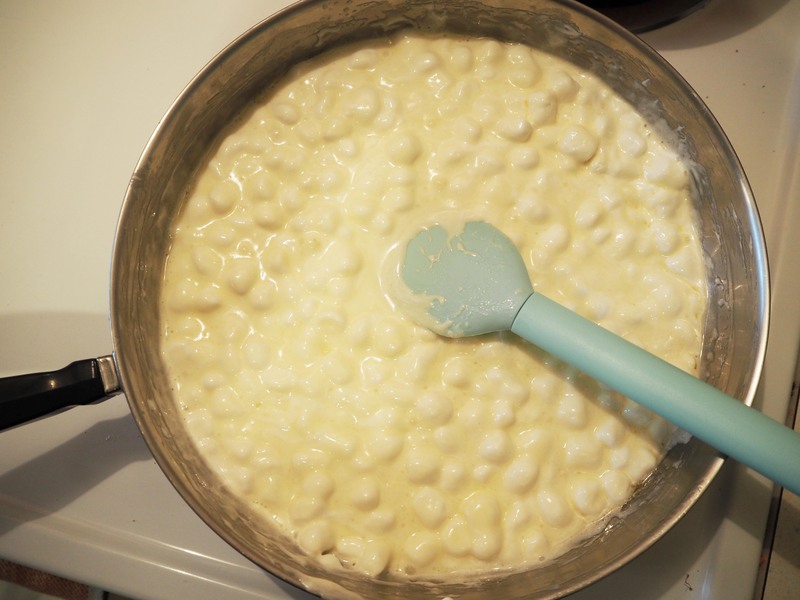 If you want to make popcorn balls instead of a cake, instead of packing the popcorn mixture into a cake pan use your hands and pack into balls then wrap with saran wrap. Spray bundt cake pan with cooking spray and set aside. 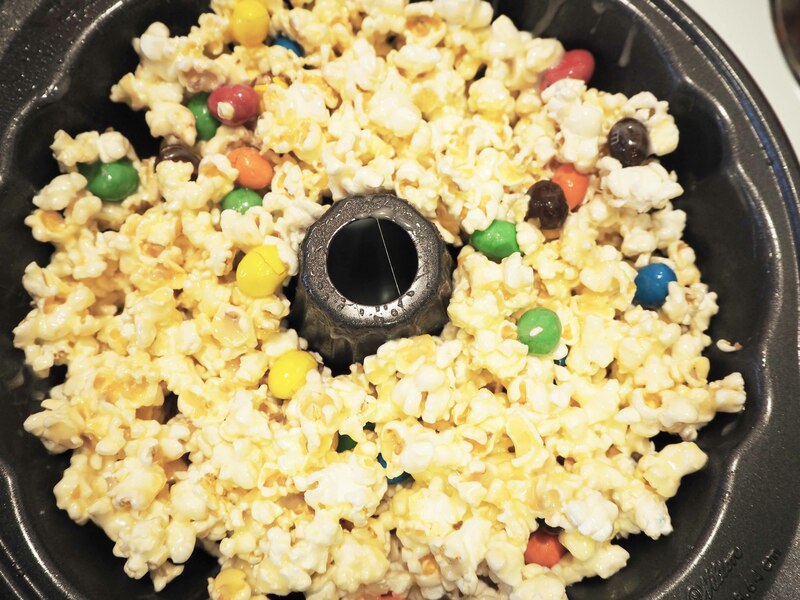 Pop popcorn and place into a large mixing bowl. The bigger the better! 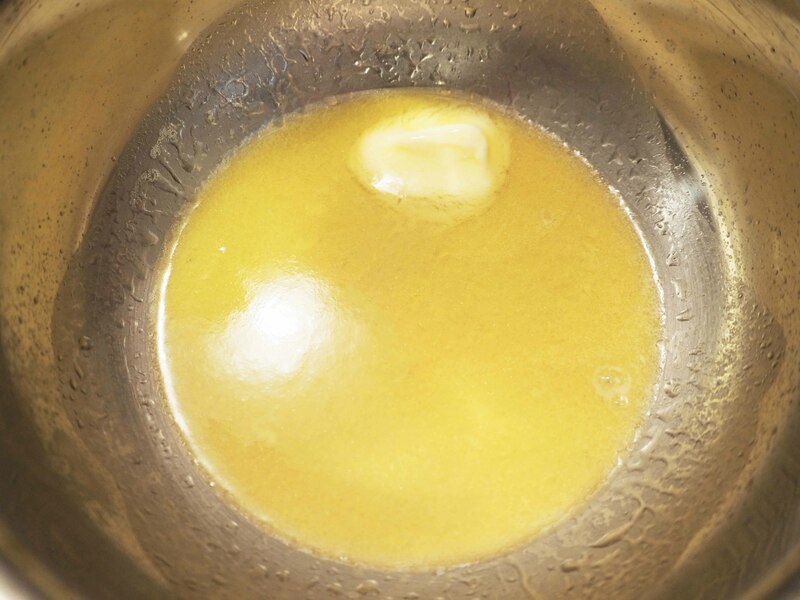 Melt butter over medium heat in a medium-sized saucepan, then over low heat add in marshmallows and continuously stir marshmallows and butter together until smooth. As soon as the last marshmallow melts turn off the heat! Pour marshmallow mixture over popcorn and combine. Then fold in M&M’s and combine. Press popcorn mixture into the prepared bundt cake pan. Allow to sit for awhile until cool. Invert pan onto a plate and remove from pan. While I was making this popcorn cake I got inspired and make two additional versions that can easily be turned into munch or popcorn balls. The first is inspired by Cookie Monster! All I did was add some blue food coloring to the melted marshmallow before pouring over the popcorn. 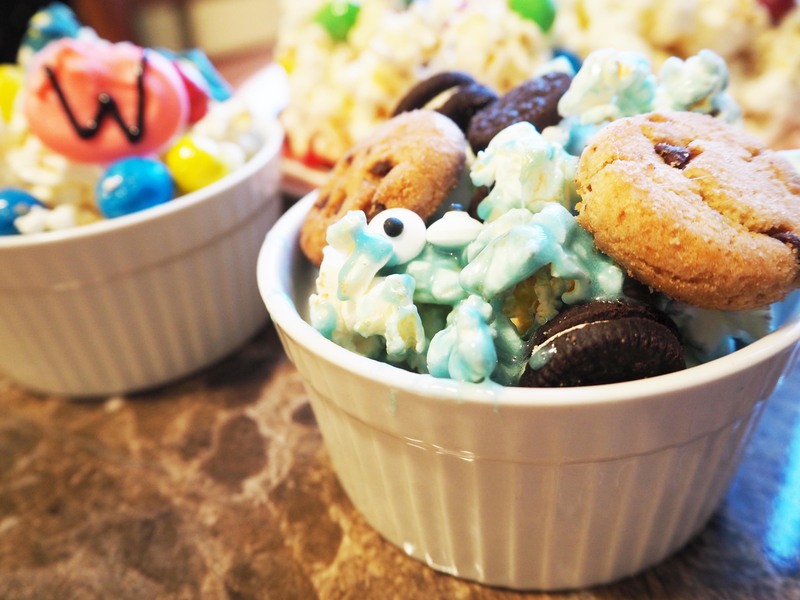 Then added mini Oreos & mini chips ahoy cookies, along with some candy eyeballs to simulate cookie monsters eyes. A super simple transform the base recipe. The next twist I thought up is a bit more involved. It’s inspired by Wonder Woman. For the decorations, I took white chocolate and melted it, then added either blue or red food coloring and made small disks, then added sprinkle stars to the blue ones and a black “W” to the red ones. 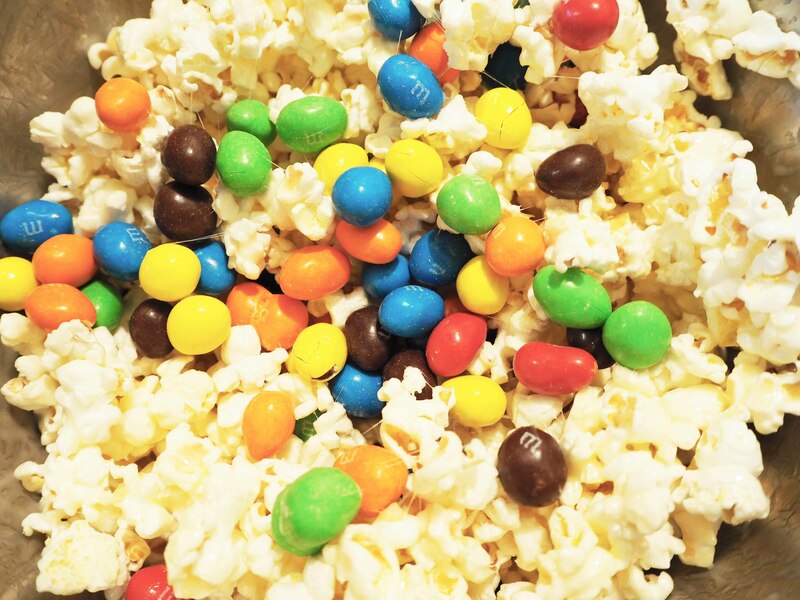 I also only used red, yellow, and blue peanut M&M’s mixed into the popcorn to go with the colors of Wonder Woman. 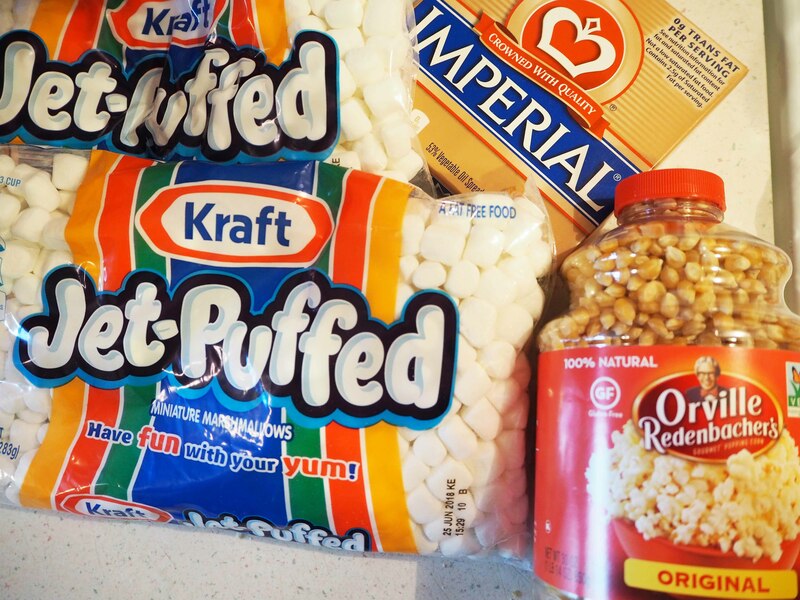 I hope you try making a popcorn cake for yourself if you do be sure to show it off on Twitter or Instagram & tag IGGPPC (geekgirlpenpals) and me (jenniibean24) in the posts! We would all love to see your creations! If you have any questions about the recipe feel free to leave a comment here or hit me up on twitter and I will help as best I can. I hope you all enjoy this fun treat as much as I do!